The journal is dedicated to research and application of desalination technology, environment and energy considerations, integrated water management, water reuse, wastewater and related topics. As we look forward to the New Year, we are pleased to have welcomed many authors from over 90 countries around the world. We also welcome the many new papers arriving daily and strive to give authors fair and constructive reviews. Our Impact Factor continues to grow and harbors the greatest number of citations to the journal Desalination, now in its 51st year. We have lowered the institutional subscription rate significantly which we hope will make the journal more accessible to a still wider readership and ensure sustainability of the journal. 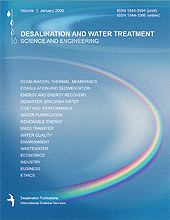 We appeal to all authors and readers, institutions, societies and companies to encourage their libraries to take advantage of this very significant reduction and enable us to continue to serve the community interested in desalination and water treatment without high costs to authors and a lower cost to institutions. You can continue to view abstracts freely. Contents Alerts will be sent regularly to a wide community in our field. Papers can be submitted online using a manuscript submission and peer review systems http://mc.manuscriptcentral.com/tdwt. See instructions to authors here . All papers are peer reviewed by at least two referees. Papers presented at conferences are peer reviewed and selected with the same standards as individually submitted papers. They therefore have the same archival value. Desalination and Water Treatment journal is included in the Web of Science, SCI-E and Current Contents. The 2016 impact factor is 1.631. A distinguished worldwide editorial board and associate editors will guide, monitor and review the journal. Copyright is retained by Balaban Publishers – Desalination Publications and is granted to authors who may place their papers on their personal or institutional websites. An electronic copy of the final paper will be provided to authors. Open Access publishing is that where the funding body supporting the author’s research also covers the cost of publication so that the paper can be free to all readers as soon as it is online. The funds received for this purpose are transmitted to the publisher. 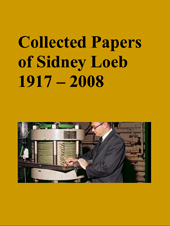 The journal is included in major abstracting services. The Desalination Directory plays a central role in networking the desalination community and all those interested in the field. There are currently over 35,000 entries of which about 30,000 are individual owners, suppliers, users, academic, government, and industrial researchers, engineers, operators, managers, sales representatives and consultants and 5,000 are institutions, companies and associations. The Directory includes geographical and subject indexes, a cumulative index of Desalination, a calendar of events, information about courses and other timely material. Desalination and Water Treatment can be accessed through the Directory.